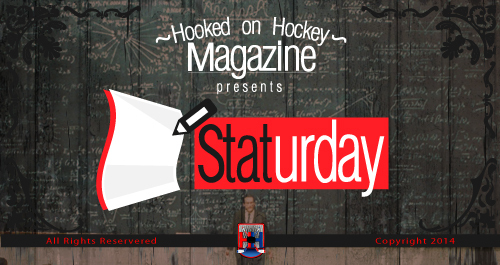 STATurday: PK Subban - overrated? Home/Featured/STATurday: PK Subban – overrated? The annual player poll has been released about a week ago from The Athletic. TSN reports about it here, but if you have access to The Athletic (behind a very much worthwhile paywall; note nobody is paying me to say this, The Athletic is really high quality sports writing), then I encourage you to visit them here. To define overrated is a bit complicated. What exactly makes a player overrated? Being considered an elite talent and making elite talent type money without meriting the price tag? Talents being overstated? Under-producing based on the figure attached to a player’s Average Annual Salary? Not being with the hype? The cap for this season is set at $79.5 million, meaning PK takes up about 11% of his team’s total cap. John Carlson, WSH ($8.0 million). Without revealing the names of the players compared above, it appears that column 3 is the most effective defenseman, showing optimal plus-minus and Corsi rating, and with column 4 being a statistically promising defenseman even if he is the youngest of this bunch. If you’ve ventured a guess, the columns correspond to Subban, Doughty, Burns, Hedman, and Carlson, respectively. While Subban does not show to be a statistical leader in any of the categories despite being the highest player, he is a serviceable defenseman. Franchise-type players tend to be paid about $7mil a year or more, with only so called “elite” talent breaking 10 million (with one notable exception being exceptionally superstitious Sidney Crosby, who makes $8.7 million a year). While Subban may not be the most statistically outstanding defenseman among his salary comparables, he is absolutely a franchise type player. He is a talented defenseman and an overall great guy, as I pointed out previously (ask his charitable donations and community involvement in Nashville). Perhaps he may be worth about $6 million a year, but the extra $3 million is worth the face/name recognition as well as the personality he has.